We've said it a thousand times: being an independent musician isn't easy. 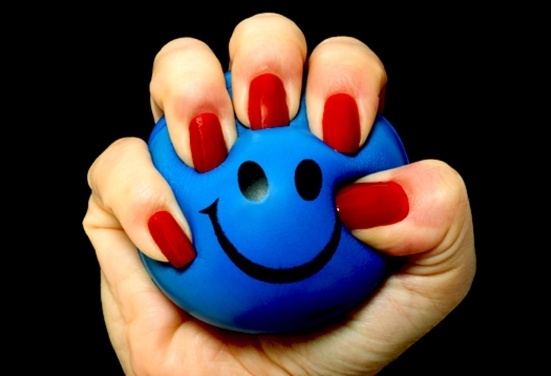 Part of the difficulty in that effort is managing the stress it brings. When you're overwhelmed, achieving your goals can seem impossible. Minimizing the pressure is paramount. The four points outlined here are pretty basic, but the effects of wholeheartedly incorporating them can be tremendous. If you often find yourself stressed about your career, try them out, and let us know how things go in the comments section. The amount of pressure you feel will increase depending on how many responsibilities and goals you give yourself. While ambition is important, overloading yourself with too much can be hugely detrimental. You might find yourself overwhelmed and in need of significant breaks from the pressure – or you might feel so bogged down by work that you begin to dread it, and eventually feel like abandoning it altogether. Don't expect stardom – ever. Success as a independent musician is not based on fame. Don't sacrifice too much of your existing schedule and obligations. Family and friends should be a source of support, not a hindrance. Unless you've hit the income level to be a full-time musician, maintain your other job the way you always have to ensure stability. Share the work. Delegate jobs to bandmates instead of trying to do everything yourself. If you don't truly know what you're getting yourself into, you're extra susceptible to stress and anxiety. The more you know about how the independent music world works, the better prepared you'll be to conquer it. The Sonicbids blog is made for just that: education. You can learn the ins and outs for free from people who work in the industry. Don't stop here, though. Read as much as you can. Even better, talk to the people you meet – other musicians, promoters, booking agents, etc. Take any chance you can to hear about their experiences, and ask them for advice. You'll find people in the independent realm are often happy to help others; seasoned folks likely helped them when they were starting out, too. A messy, haphazard schedule will make life seem chaotic, especially when your efforts as an independent musician also compete with another job and family and friends. Meticulously mapping out your goals and the day-to-day plans that will help you achieve them will make you feel more control of your life, and can reduce stress. Try using a planner gives you a longer outlook (the entire week at least) but allows room for a daily to-do list. You can buy a physical one, or try using Google Calendar. The latter is free, allows you to change views (day, month, week), and is potentially accessible anywhere, assuming you own a smartphone. Chronic stress can take a physical toll, so it's important to take care of yourself the best you can. You've probably been told this a million times, but don't discount its importance: eat well, exercise regularly, and sleep plenty. The healthier you are, the better equipped you are to handle the stress of managing your own music career. Don't forget to take a break now and then – a day off from everything, a night out with friends, or a vacation, if you can afford it, can help sustain or rejuvenate your motivation. Jhoni Jackson is an Atlanta-bred music journalist currently based in San Juan, Puerto Rico, where she juggles owning a venue called Club 77, freelance writing and, of course, going to the beach as often as possible.